Who IS Armando Alvarez?! A very bold new teaser poster for Will Ferrell's entirely-in-Spanish film Casa De Mi Padre has arrived courtesy of IGN, and you've got to see it. It was confirmed earlier this year that Pantelion would be releasing this in theaters next March, so this is the beginning of their wacky marketing. 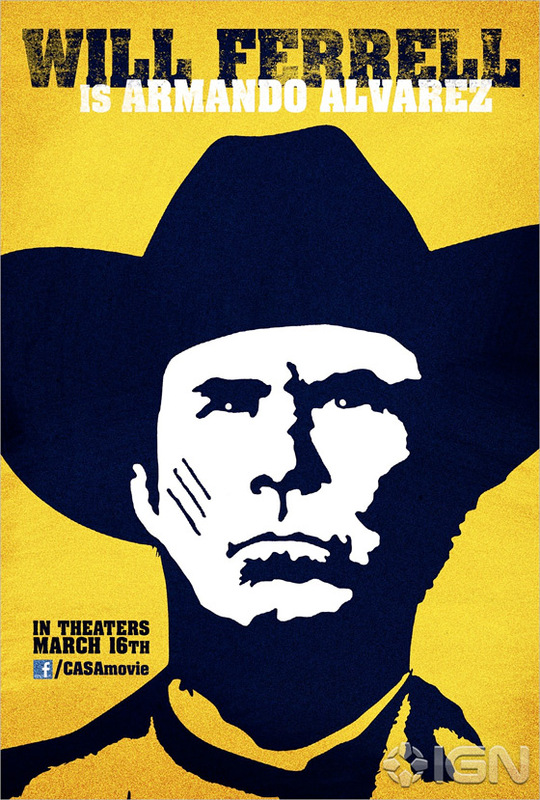 Casa De Mi Padre stars Will Ferrell as well as Genesis Rodriguez, Gael García Bernal, Nick Offerman and Diego Luna, and is a comedy about a guy who has lived and worked on his father's ranch in Mexico for his entire life but ends up getting into a war with Mexico's most feared drug lord. So who is he? See him below! Click for huge size over on IGN. I hope this thing gets plastered everywhere, his face all over different cities. I laughed just reading the description (and at the fact that it will all be subtitled). I hope it's good. I got the chance to see this early a few weeks ago, and I cannot begin to tell you how good it was. The fact that it was all subtitled made it even better. It's undoubtedly the best comedy I've seen in the last few years, I just hope they don't mess with it in the editing room to much. The version I saw was perfect. Will Ferrell playing a Mexican?? Holy crap! There are 2 ways to take it: 1.)Offensive. or 2.) Hilarious. I choose the 2nd! I hope this flick lives up to the hype, and I REALLY HOPE there are key Mexican production personnel involved in some creative capacity--because it is the right thing to do AND to ensure cultural accuracy!